Mordoten, would be happy to test it if you are interested on doing it too. How do you prefer it? With the extra point on criticals? For all of the WE or only normal in Gargants and bigger? Now that I've been thinking about it, I'm definitely leaning towards having a 6+DC cutoff (so Reavers and larger) myself. Another thing about many smaller WE is that their Criticals kills them outright, so they're inherently fragile in that way. 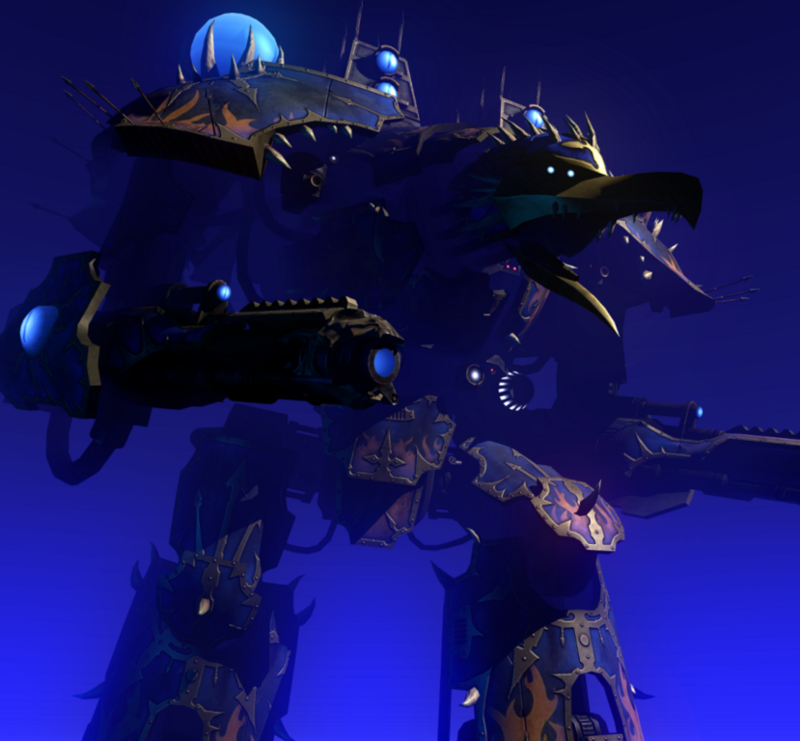 It would also avoid some weirdness in TTL with the Harbringer Bomber. Would probably also be easier to get support for a rule that is less indiscriminate. I think adding an extra damage on the critical when below half feels right, but I'm open for other solutions as well. Yeah, i think DC6 and upwards is a good choice. And toanswer Abetillo i'm interested in trying out the crippling damage rule as it's been worded here. This is a very good idea! Had two games yesterday (and will eventually post two battle reports from them) with the proposed Crippling Damage rule. Played with a Chaos Emperor Titan and a Chaos Reaver. Lost both games (partly due to a sub-optimal list) but was really close to getting a draw both times. The Crippling Damage rule only came into play once (on the Reaver), but didn't really have much impact when it did. But it definitely makes the bigger WE feel more vulnerable. 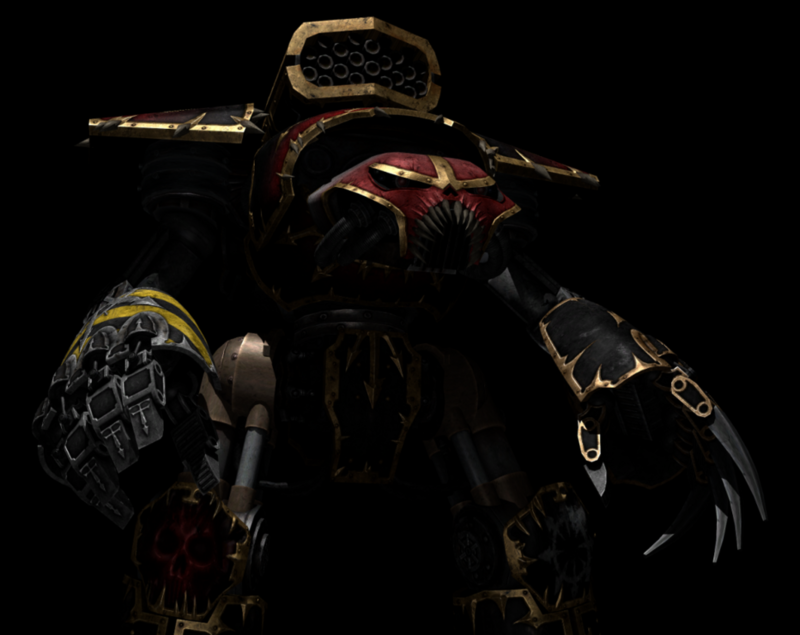 Post subject: Re: [Developmental] Traitor Titan Legions (TTL) v2.1 and v2. 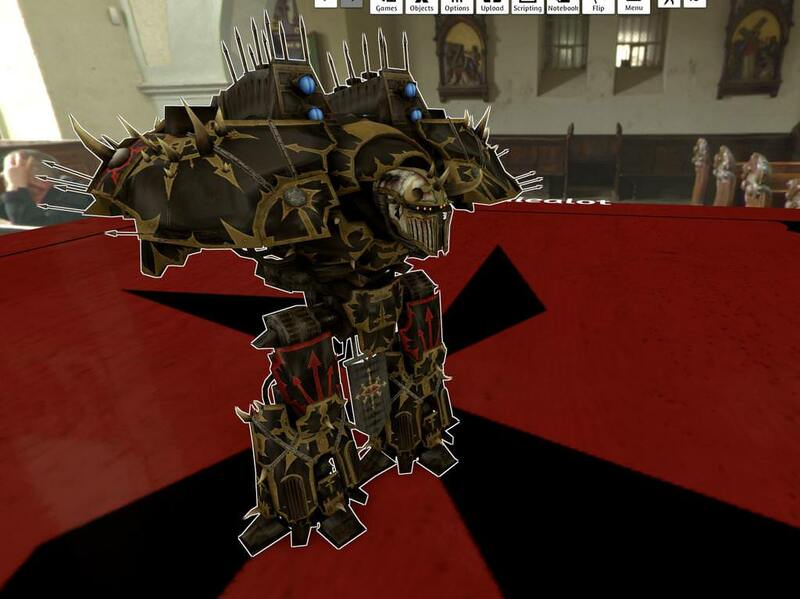 During a recent excursion into the World Wide Web I came across some teasers for some new 3d-models that are very close to release for the "Garry's Mod" 40k community (Nurgle bless those guys). This is seriously good news for my plans to make a TTS module for Traitor Titan Legion, and for those who has 3d-printers. Had planned to do something like this myself at some point, but this just looks so much better than anything I'd be able to do! Post updated to v2.2. 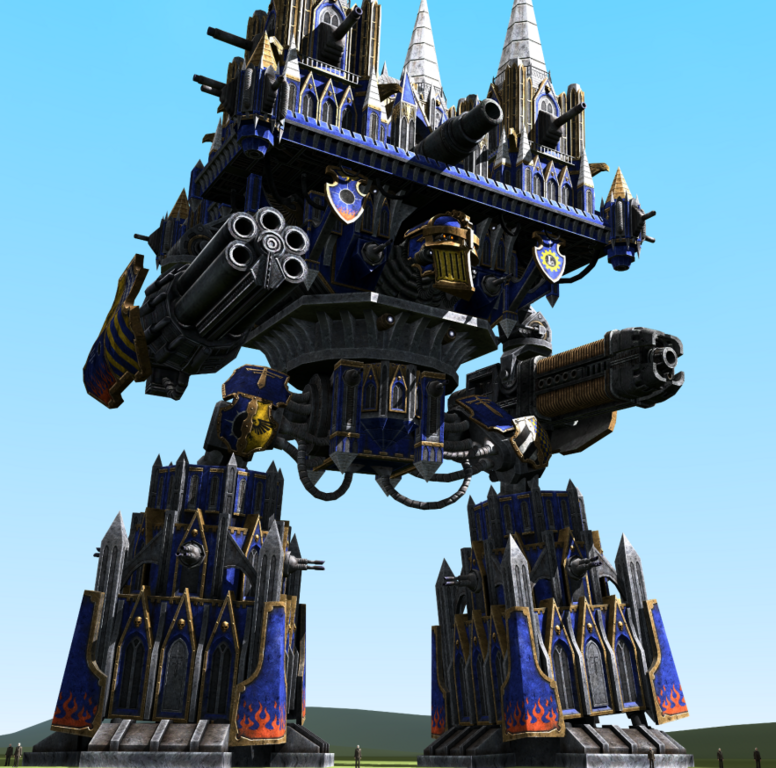 There was some discussion around implementing split fire for Battle Titans in the "Rules Amendments" section. Having thought about it some I can understand the wish to have it in E:A, but I think that train left the station a long time ago. I continue to think that the main problem with the big titans is that they're way too tough, and thus has to cost too much for them to be a relevant choice for most lists (there are certainly exceptions). Titan lists especially don't really work. 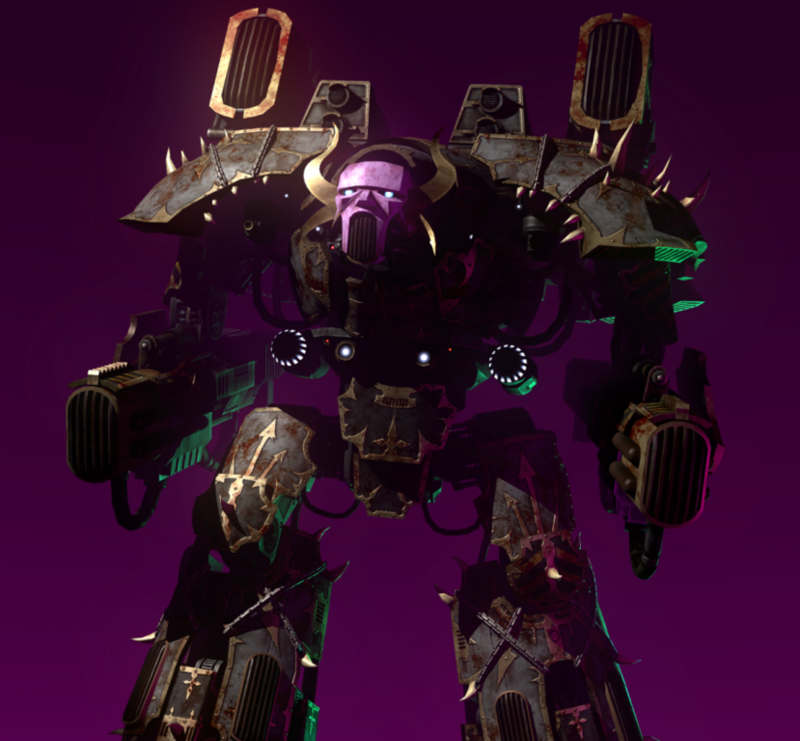 Hopefully something like the Crippling Damage specia rule could help with that, but it might be that it will have to become even nastier before Imperial Titans are where they should be in the game. If anyone has any ideas about how to best do that I'm all ears. Well, you know that i think that the issue is that they don't deteriorate. Just make them less sturdy means that they become closer to Warhounds and reduces their advantage to them, making them closer to Warhounds with better weapons. -Reactor repairs only on 5+ or 6+ instead of 4+. This means that the reactor meltdown won't happen more on the first hit, but will on subsequent ones, piling up the opportunities it will go down and adding more damage each turn as the reactor is harder to repair. - -1 to armour. The previous hits got through the armour and now it is easier to take down. Similar to the +1 in Space Marine when a location is hit a second time but fits EA's way and it is simpler. - -1 to activations. This doesn't wear them down directly but means that they are easier to attack so they indirectly go down faster. I like the -1 to Armour idea, the -1 on activation is actually already included (-1 initiative). And it might be that it should kick in when at half remaining DC, and not below half as it is currently. That should make it more attractive to start hitting them, as the "reward" for doing so is easier to reach. I also wrote some stuff in the Split Fire thread that might be worth trying out. I think it would make the big titans "feel" bigger and beefier if they were included, so it might be worth trying out... But at a higher points cost obviously. Maybe +50/75pts up from v2.2? Depending on how it is formulated, Split Fire could make it a lot less viable to ignore the big Titans, and make them more interesting to play with. Added v2.3 Beta to the first post. The list is starting to have a serious load of Special Rules now, but might be worth trying out at least... It would be fun to make War Engine lists more viable, and I think the biggest WE could do with some extra complexity. Obviously very interested to hear opinions on both Split Fire and Crippling Damage (and anything else in TTL). I'll try and playtest it (or something like it) in TTL as soon as I can get some models done there. Cool models, but maybe not chaotic enough in my eyes. Re-did the Crippling Damage and Split Fire rules again, hopefully making them more readable and easier to understand. Removed the requirement for 1+ initiative. 1. Counts as having half its starting DC for determining the number of blast markers it can have before it becomes broken, and for determining how many Close Combat and/or Fire Fight dice it gets. 2. Suffers an additional -1 modifier to its armour value, and on all initiative rolls made by it or its formation. Round all fractions down. Crippling Damage takes effect after the activation that caused it has been resolved. Good enough for the Undivided faction. Hopefully the rest will be released soon. Maybe, but I have to say that my experience has been that people still treat the Warlords like they've always done. I think the problem is that even with some partial reward halfway, taking on a big titan is still very much a gamble that may not pay off. Their shields mean that unless you make a pretty significant effort, you'll probably end up with nothing. And even with a significant effort, you're still quite likely to end up with only crippling it and not killing it. On top of that, not all lists have what it takes to take on even a weaker Warlord. Maybe, but as I've yet to see anyone else make a single bat-rep with them for the last two years I'm not going to worry about that too much. And they're still +1 to activate most of the time. In addition, if you've built your list with only one faction, there's probably going to be some activations where you're still at 1+ even with Crippling Damage. I think it is more important to try and get a list that works, and that hopefully show that there's a way to make non-Tyranid WE-lists work. If that happens, I think people might want to start playing it. Could be, but I think dividing it up like that is quite complicated too, and could lead to problems since the TTL list doesn't only have 6-8-12, but also 7, 9 and 13 DC on the WE (Nurgle). Having a bunch of different cut-offs isn't very easy to remember. But if you want to playtest something like that I'm all for it. As you might have noticed we (me, Argol and Norto) play loads of Epic on Tabletop Simulator, and you're welcome to join us there. So I could have avoided me and you having to write a lot if i were to had read again the list and check the posts in this thread: I forgot this list is 0+ and about Nurgle's Titans. - Coruscant Hail and Corruption Cannon should: shouldn't they have its stats exchanged?, so Nurgle gets the BP ignore cover and Tzentch the MW which fits both much better than the opposite, and maybe the ranges too. I supose this is a typo. -Daemon's maw get Ignore Cover which is not much typical for Tzeentch and also is less powerful than Nurgle's head. I think you could go with MW, +3 attacks or just +2 EA with nothing more (i am taking into account here they have better FF on Warhounds). One thing that bothered me is what is the advantage of chosing Tzeentch for Reavers and Warlords? They get punished with no tail and less CC which harms them further because they have to take a mandatory CC weapon but i don't see the advantages, and the weapons are on par with other God's or lower (Demon's maw for example). Easy to circunvent, my aim is to reduce the number of changes to one, add granularity and make easier to reach the crippling and it can still be done: Make it so they get at -2 on activations at 2DC and -1 on 4DCs for the Reavers and Lord of battles, and maybe the Warlord too (it is sturdire and that would be a point to take it over the Reaver). And at 4DCs and 8DCs for the Emperor. So far i like the -1 on activations more than the half BMs and it looks to me less frustrating (at least a hold can be made) and the effect is similar. More than the Special Rules i see more concern about the number of units. Don't missunderstand, i prefer lists were there is variety and freedom in choosing, but some of them i don't see the point. -For example, what was the intention on three Defilers, one for each god? Just for the one god army Special Rule? 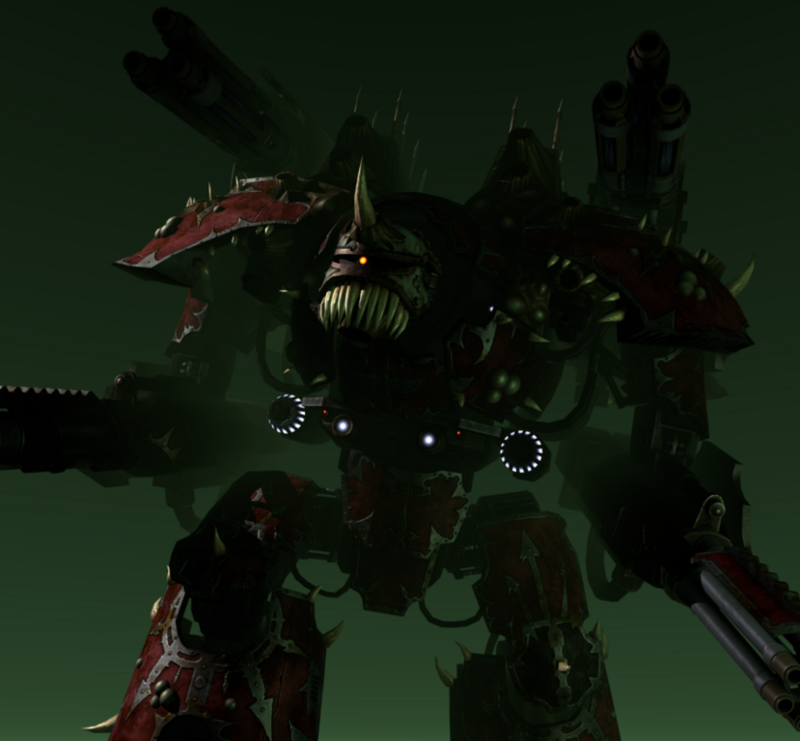 If it is that you can always add a note saying that they can choose any faction, like with the Warbike Outriders on Speed Freks or Trappas in Ferals. -Second, how Daemon works with Titans? 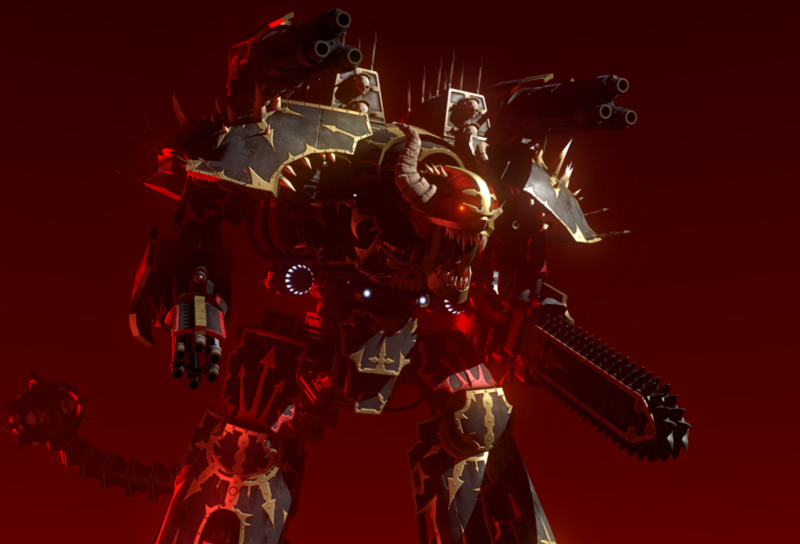 It looks cool thinking that there is an Altar inside the Titan which spews daemons but i cannot picture and assault like that in EA. If only the daemonic engines were daemons and not possesed machinery i could see summoning as more into theme. Short answer would be I would like to but it is quite complicated. Longer without boring you with my life issues is i would like to because where I am right now i need to travel 12 hours to meet the closest person that plays, and i can only play online in the local library, meaning that in weekends i can only saturday morning, and paying for TTS would be a waste just for a few games, if any. Vassal could be OK but i need to set up the game two weeks beforehand because of work.